A University of Kansas geologist's work in the remote High Arctic of Norway has exposed the startling global spread of antibiotic-resistant microbes—including multidrug-resistant "superbugs"—that could have dire implications for human health worldwide. 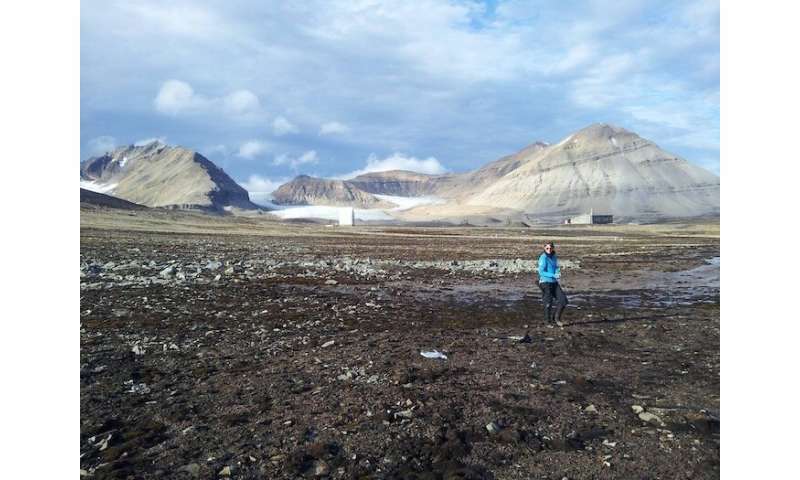 But follow-up analysis of the soil samples Roberts collected in the Kongsfjorden region of Svalbard, Norway, also showed that antibiotic-resistant genes have transferred into soil-microbe populations in one of Earth's most remote locations. The findings by Roberts and an international team of colleagues from the United Kingdom and China were just published in the peer-reviewed journal Environment International. 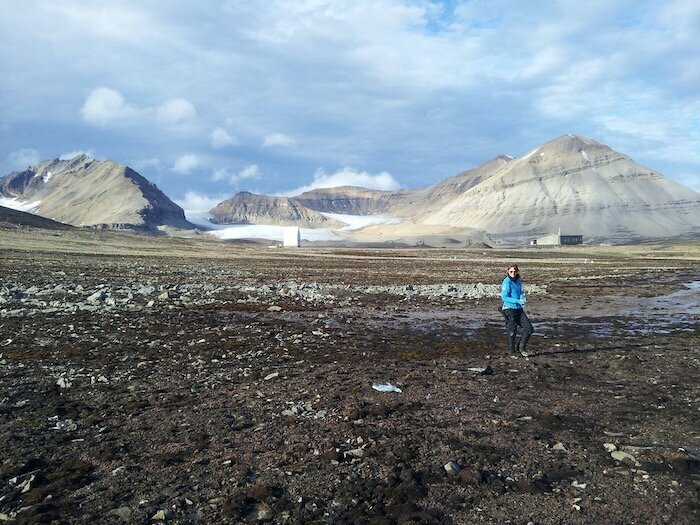 "The study offered a good opportunity to test soil samples for antibiotic genes with the hypothesis that Svalbard was such a remote and isolated place, we wouldn't find any evidence of such genes," Roberts said. "In contrast, we found quite a few including superbug antibiotic-resistant genes like the New Delhi gene, which first emerged in India not very long ago. This was a surprise—the genes we found clearly had a short transfer time between being discovered in India and our group detecting them in the Arctic only a few years later." The research team genetically sequenced DNA from 40 samples of soil at eight locations in Svalbard, finding 131 antibiotic-resistant genes. One antibiotic-resistant gene found is called blaNDM-1. Initially detected in New Delhi in 2007, the gene triggers resistance to carbapenem antibiotics—a last-resort remedy for otherwise untreatable infectious disease. The demonstrated spread of blaNDM-1, in particular, is highly concerning, drawing attention to the rising crisis of global antibiotic resistance. "They likely originated from pathogens that were exposed multiple times to different types of antibiotics—that's how we get these acutely antibiotic-resistant strains, where they persist even despite the use of 'last-resort' treatments," Roberts said. "Some of the sites where we found the New Delhi strain of gene aren't terribly far from the main research base, so there's a possibility human waste was involved. We also observed colonies of nesting birds in low-elevation places, like small lakes and other sources of open water during maximum thaw, and that was where we saw the highest concentrations of these genes. We also detected them in places that didn't have open water but had a lot of small animals like foxes, and you can trace a vector between a watering hole or small lake where you have lots of birds and small mammals going to drink and then picking up whatever genes are there." Roberts, whose research expertise is in hydrochemistry and microbial geochemistry, worked to develop a benchmark for antibiotic-resistant genes naturally found in Svalbard so the team could distinguish them from "foreign" multidrug-resistant genes transferred to the Arctic from regions where antibiotics are used in human and animal populations to treat disease. "Because the migration of these genes is of such great concern, the next question becomes, 'Are these antibiotic-resistant genes native—or did they get transferred?'" she said. "My role was to use lines of evidence in our research to help us be clear about what was a native gene that developed in soil and what was brought in from other sources. We did that by looking at nutritional supplies in soil, which are very, very low in these Arctic soils. We were then able to link the antibiotic-resistant genes to what appears to be a new source of phosphate being brought in from outside—and the most likely source of phosphate is feces, either in human sewage or, more than likely, bird guano." According to Roberts, antibiotic resistance traveled between microbes via "lateral gene transfer." In this process, pathogens travel into water through feces, die and release large quantities of free genetic material into the water. This genetic material does not easily degrade, with the result that other organisms end up picking up the genes—as well as their resistance. "It's not that we have some kind of robust community of E. coli or other pathogen living in the surface waters in the Arctic," Roberts said. "Instead, some antibiotic-resistant pathogen was brought in from outside sources—and now that resistance has been dispersed as genes are picked up by other organisms that were already populous in the environment." Roberts said the team's discovery shows multidrug antibiotic resistance is now global in nature. "We have to remember that we got antibiotics, like penicillin, from soil microorganisms to begin with," she said. "Microorganisms have used resistance capabilities to overcome immunities in the environment for a long time, producing antibiotic-resistant genes that are considered natural and native. But with the use of manufactured antibiotics for humans and animals all over the world, we've seen rapid evolution of resistant genes. We found both native and evolved antibiotic-resistant genes in the Arctic. The concern is that with resistance spreading on this scale, we may be approaching a post-antibiotic era where none of our antibiotics work because the pathogens we're trying to fight have picked up resistant genes via evolution or lateral transfer." Roberts said the team's findings show the importance of more careful stewardship of antibiotic use and the need for better treatment of wastewater around the world. "Our human and animal use of antibiotics can have impacts that are beyond ourselves and beyond our local communities—they are global," she said. "It's really important for us to start thinking of water system management and antibiotics use in ways that are global—and to start reducing and controlling some of the spread that is clearly not controlled at the moment."